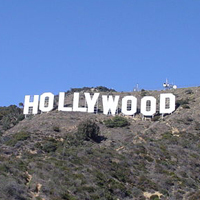 Facebook: little more than an extra for Hollywood? Hollywood and social media may seem like a match, but if Facebook is a big part of ‘social media’, the movie version of the relationship may not have a happy ending. Last year, just as the world’s largest social network was prepping to go public, it was publicly dissed by automaker GM, which said it was cutting its spend on paid Facebook paid ads. Now it looks like movie studios, not sure of the ROI from their Facebook investments, may be following in GM’s footsteps. Our Internet Statistics Compendium has seen another bumper update this month, with an impressive swathe of data focusing on the internet landscape in Australia. The latest report released by the ARC Centre of Excellence for Creative Industries and Innovation (CCi) gives a comprehensive overview into how the internet has become integral to Australians as a social tool, a shopping platform and an entertainment channel since 2007. Yet, it is the report’s insight into audio and video trends which are some of the most interesting, with online perhaps not eating into consumption habits of traditional media as much as we might expect. Be sure to check out the Australia and New Zealand edition of our ISC for more from the region. A mere decade ago, the water cooler was still the ideal place to discuss the movie you saw over the weekend or the TV show you watched last night. But with the rise of social media, the water cooler is, for many viewers, online. When it comes to talking about the latest happenings on the big screen and the small screen, connected devices are creating an entirely new dynamic, one in which viewers talk about the content they’re consuming with large audiences in real-time. There are numerous differences between Apple’s content ecosystem and Google’s. One of the biggest: through iTunes, Apple offers a unified and arguably superior experience. Whatever you’re looking for, be it music, apps or books, can be purchased and downloaded in a single place. This apparently hasn’t been lost on Google, which today announced that it’s combining Android Market, Google Music and the Google eBookstore into a single entity dubbed Google Play. Beleaguered retailer HMV has announced a new online rental service as it continues to move into new digital channels. The new offering at hmvon-demand.com went live today with new releases Bad Teacher and X-Men: First Class.